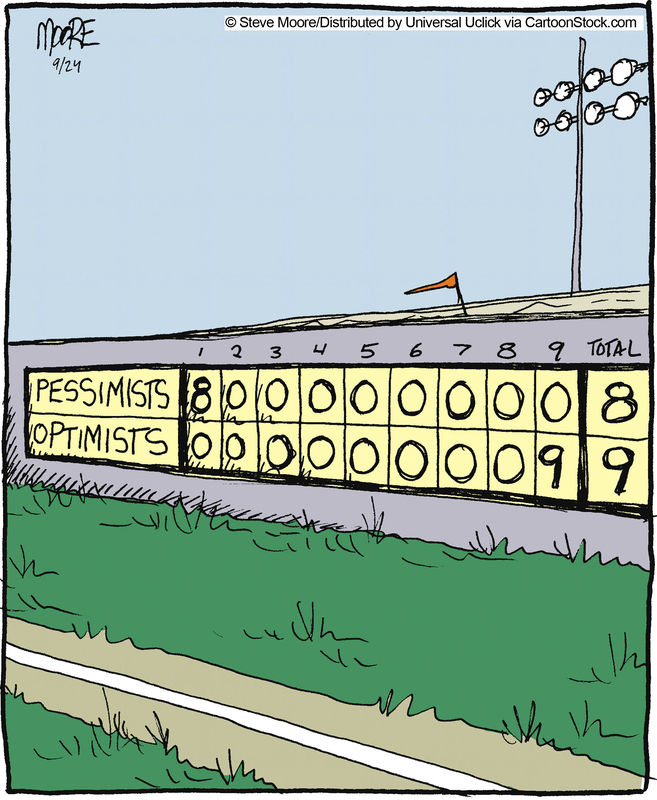 Cosmic Quote #52: Play Ball! 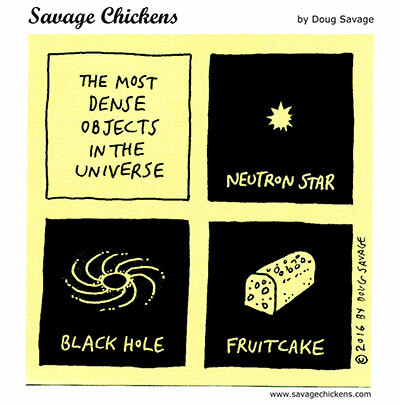 Unfortunately, there is a fourth thing that can happen. It can snow. 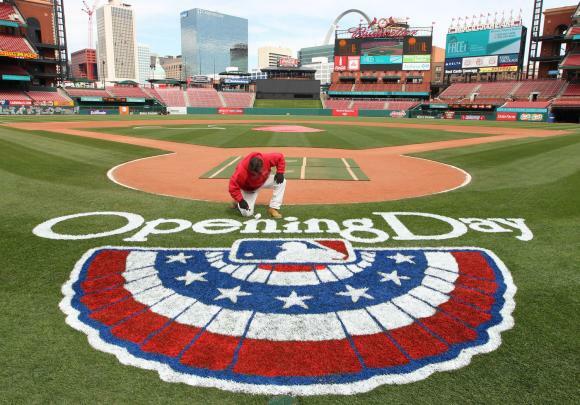 And as that is exactly what it is currently doing outside my window right now, I thought I’d get a head start on this coming Sunday’s Major League Baseball opener and give spring some encouragement. Stay warm and dry, my friends. This article appeared yesterday under a different title as my monthly guest post on The Blog of Funny Names. My age is showing, but what the %#@. If you’re an American baby boomer the name Howdy Doody (1947-1960) is synonymous with seminal children’s television–perhaps the most recognized name of 1950’s kiddie fare. 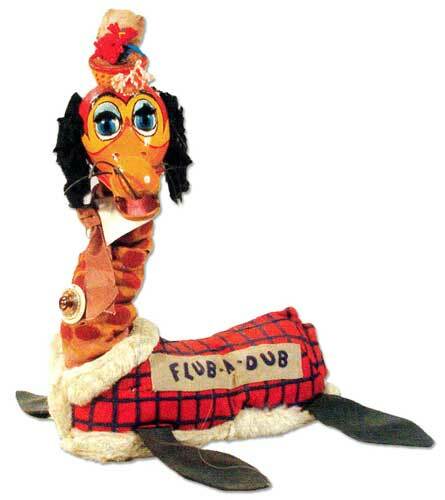 If you happen to be be a boomer of a certain age–over sixty too many years old–you might just recall another oddball TV name from that era: Winky Dink (1953-1957). For you uninitiated, uncultured whippersnappers, I’ll elaborate. Flub-A-Dub. What happens when puppeteers get high. Clarabell Hornblower–a mute clown originally played by one Bob Keeshan of Capatain Kangaroo fame. Phineas T. Bluster. Politics hasn’t changed. 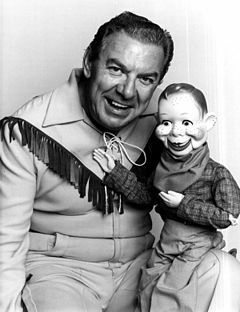 Perhaps the most interesting sidebar to the entire Howdy Doody run on NBC, was an ongoing battle between Smith and puppet-maker Frank Paris. Paris made the original Howdy Doody puppet and complained constantly of being cheated out of royalties. 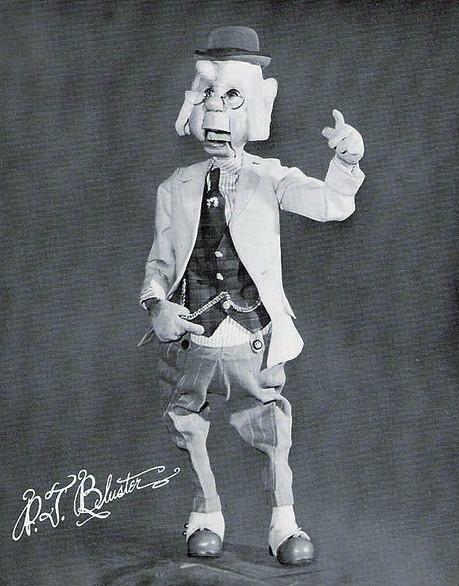 Howdy Doody dolls were all the rage, and Bob Smity owned the property rights to the character. You’ve heard the phrase”I’ll take my football and go home?” Well on more than one occasion, the irate Smith took his Howdy Doody puppet from the studio and went home. Problem. The show was aired live in those pre-video tape days, forcing a last minute plot and script change making excuses for why Howdy wasn’t around. By the way, the term Peanut Gallery, actually dates to Vaudeville. It referred to the cheapest seats where the cheapest snack–peanuts–were sold. But most of us today know the term from The Howdy Doody Show, which resurrected it for the live studio audience of kids. Winky Dink–The name Jack Barry will forever live in TV infamy, for his roll in rigging the game show Twenty-One. It lead to congressional hearings, national disgrace, and ultimately the book and movie Quiz Show. What only a few of us who were watching kiddie TV in the mid-1950’s will remember, though, was that he was the host of a quirky live and animated program Winky Dink and You. Long before twitter and other social media, Winky Dink was probably the first interactive TV show, though in the most lo-tech of manners. The show featured Barry interacting with the cartoons projected beside him. The interaction with audience was by means of a coded message or connect the dots puzzle, that could only be read by writing directly on the TV, or rather on a clear plastic film covering the TV. Problem. You had to send in to the network to get the clear plastic film, or Magic Window, as they called it. I didn’t have one and I couldn’t bear the suspense of not knowing what that image or message was, so I finally took a crayon and wrote, sans clear film, directly on our ancient TV screen. My mother was not pleased. Let’s just say, Howdy Doody, I got my Winky Dinked! This post appears today, under a different title, as my monthly guest post on The Blog of Funny Names. There may be plenty of snakes and vultures in Washington, DC, but when it comes to flat out, upfront political lewdness, give me the good old American heartland. Because the best political names–funny and lewd–are out there in the hinterland. Consider these two, if you will. 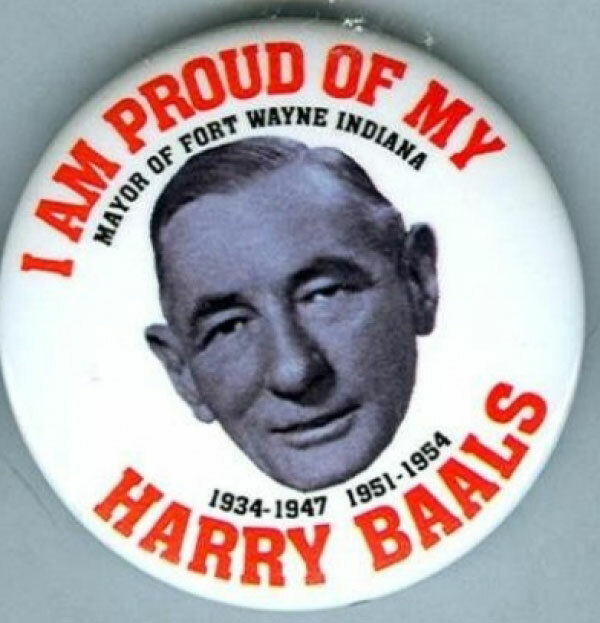 Harry William Baals–(b. Nov. 16., 1886, d. May 9, 1954), was the Republican mayor of Ft. Wayne, Indiana from 1934-1947 and from 1951 until his death in 1954. Harry Baals. Somebody in Ft. Wayne has a sense of humor. More recently, in 2011, the city of Fort Wayne held an online vote to name its new government center, and the public overwhelmingly voted for The Harry Baals Government Center–in fact, more then ten times as many votes as any other name. The horrified city fathers reneged on the contest and simply named the building Citizen’s Square. But perhaps the worst slight to the memory of this great man–or at least to his great name–is that his ancestors have taken to pronouncing Baals as Bales. That’s downright un-American. They will all be blacklisted immediately on The Blog of Funny Names. At any rate, Baals died from a kidney infection during his final term in office. You can only surmise if it might have been brought on by scratching–well, you know. It seems that the national Republican party of that era missed out on one of the greatest photo ops of all time. If these two had been at the top of their 1948 presidential ticket, that famous newspaper headline might have read Wankard and Baals defeat Truman! We often referred to our two schipperkes (dogs) as Thing A and Thing B. They were almost as raucous as these guys. Ah, Spring! Instead of spending my leisure hours indoors, drinking beer and watching old movies, I can spend them outdoors, drinking beer and watching baseball. Here’s another monthly guest post of mine from The Blog of Funny Names. The name is funny, but the story is not. 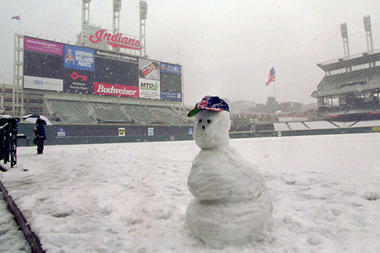 I guess I get serious–or at least less flippant–when the baseball season approaches. I’m back from the Iberian peninsula just in time to reblog my second monthly guest post on The Blog of Funny Names. Appropriately enough, it’s a place name and not a person. Now, if I can find my office under all this snow, back to real life. 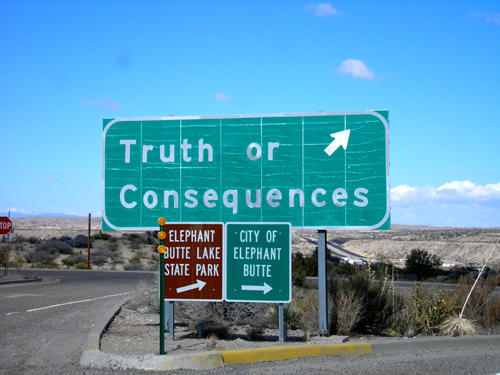 Truth or Consequences, NM,is indeed one of the odd names in American Geography. The story of the name’s origin is odder still. I thought I had it nailed back in the early 70’s, long before the founders of this blog were even born. I drove through Truth or Consequences on a cross country trip. As I passed beyond the city limits heading north towards Albequerque, I saw a huge sign on the interstate proclaiming “NEXT SERVICES 100 MILES.” Aha! That has to be it, I thought, as I looked down at my dashboard. My gas gauge had better be telling me the truth, or I would pay the consequences! (Note: The title of this post provides an apt, if inadvertent double entendre. 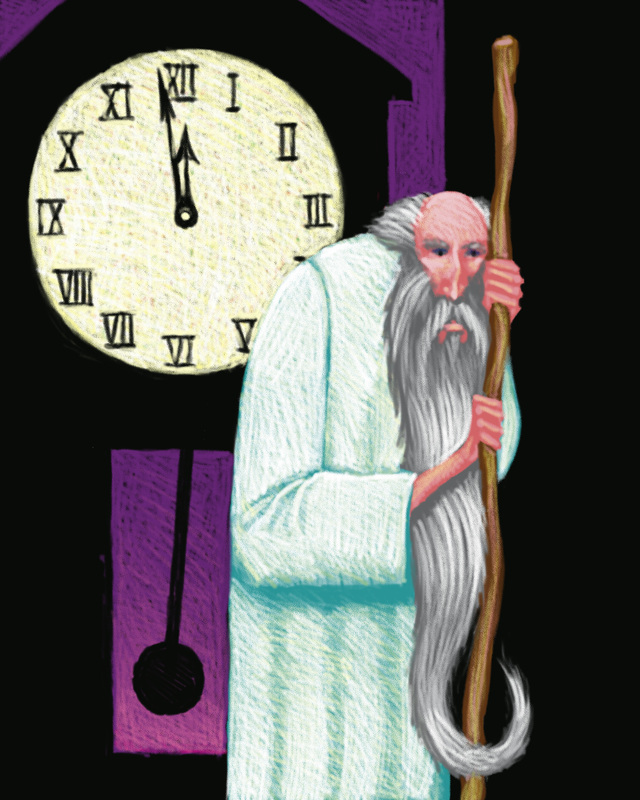 I have used the title preface “Time Out” for posts that don’t readily fit into my existing threads. “Time Out” also just happens to be the title of The Dave Brubek Quartet’s signature album. It was issued in 1959 and became the first million selling jazz album ever. 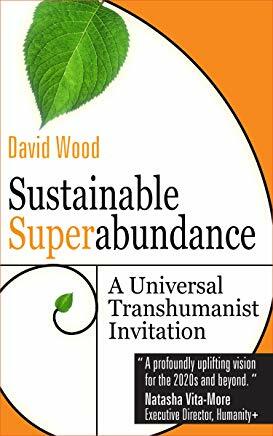 It is one of the greatest classics of the genre). Brubek on the cover of Time, November, 1954. I never met the man, yet somehow I knew him. In one of the choral groups I sang with in high school we performed a Brubek composition (yes he wrote choral music, too). Our director actually tried to get Brubek, who lived in a neighboring town, to make a guest appearance to conduct the piece at our concert. He was unavailable. I never gave it much thought then, though Brubek’s Greatest Hits was the first jazz album I owned–and in fact the only jazz in my collection until I was in my forties. I did not see him perform live until I was in my 50’s and he in his 80’s. Below are two videos, courtesy of the Litchfield Jazz Festival, where I saw Dave Brubek perform twice. The first video is a promotional piece that begins with Brubek performing in the 2005 festival. In the shot of the audience applause that follows the visual of Brubek you’ll see two audience members stand up near the back. I’m pretty sure the partially obscured one farthest back is me. In the second video, taped at the 2008 festival, NPR interviews Brubek and Paquito D’Rivera. There was no seating in this tent. I was standing in the front row, about fifteen feet from Brubek during the entire interview. I witnessed history that day. Dave Brubek was an icon, a living legend. He was not just a great artist, he was one of the great ambassadors for the arts. He died yesterday, one day short of his 92nd birthday, in the same hospital where my wife was born. So near, and yet so far away.